Adding two cards today . 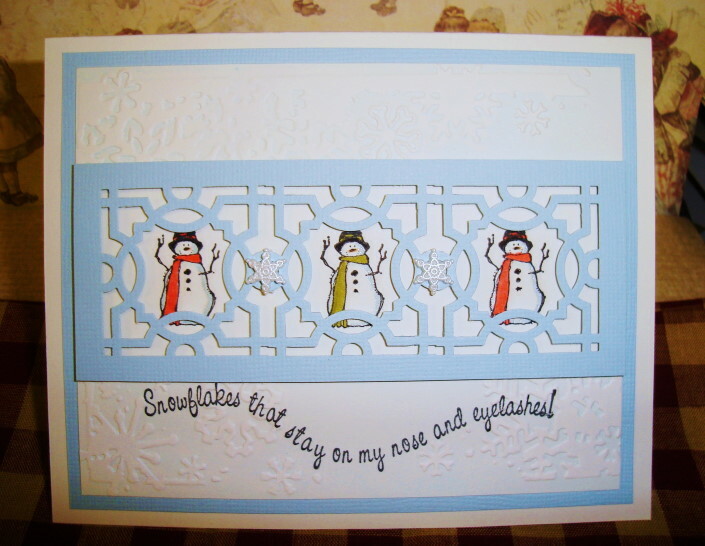 The snowflake card was done using a new folder from Sizzix Punch is from Martha Stewart . 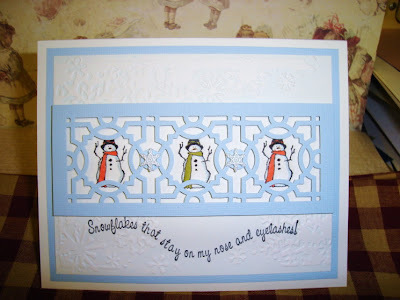 Snowman are from Stampin’ Up. Saying is from My Sentiments Exactly. 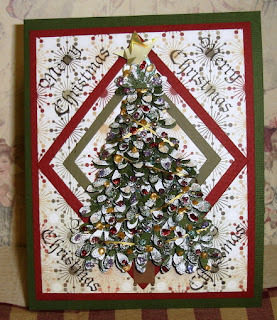 Punched Tree was done using a Daisy Punch from Marvy. Took me forever to glue down all the flowers. Then I embossed it, added different colors of Ice Stickles and Liquid Pearls, some stickers and small silver beads. Diamond die from Spellbinders, stamp from Crafty Secrets. Thanks for stopping in, have a great day. You are certainly making me feel all festive here, something I've been sadly lacking. Darling snowman card almost looks like there looking through a fence. 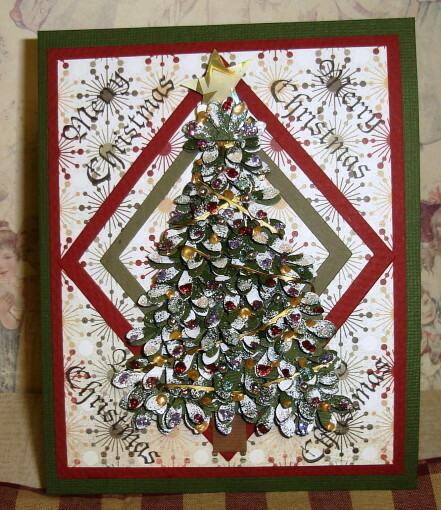 Your tree card is incredible. I can't even imagine how long it took to put it together! 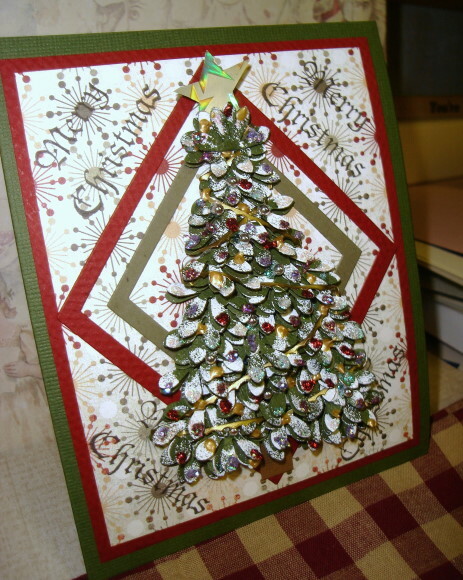 Great xmas cards - love the punched tree - very effective!